Yucky, water-stained, tin-like drains are a thing of the past with this beauty. 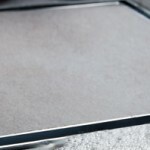 The tile inserts into the metal frame. 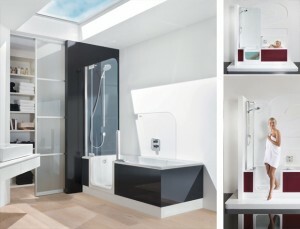 It can also be installed in an accessibly designed or universal designed bathroom depending on the location of the drain. It would need to be near a corner or back wall and the floor should be sloped toward the drain. With this type of installation, depending on the size of the shower, the shower may be able to be installed without a threshold. Introducing the latest addition to the California Faucets collection of multi-function showerheads and handshowers powered by Swiss Shower Technology™: BËL. 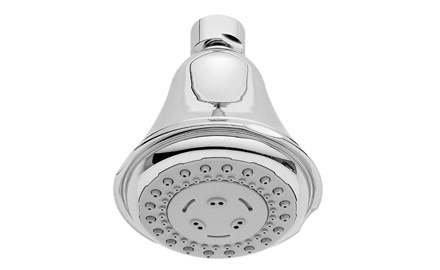 BËL brings a traditional twist to contemporary showering and features Air Mix, Jetted, and Booster Massage sprays, self-cleaning jets and a 3-1/4″ multi-function head. 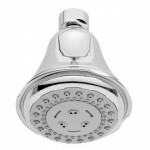 Both the handshower and the showerhead are available in a Water Efficient 2.0 gpm version and come in 15+ decorative finishes including five ultra-durable PVD finishes.